The Commission is making new arrangements to break up national postal services. The previous Conservative Government made several attempts to sell off the Post Office and the present Government is still active in formulating new arrangements for the postal services. As new Labour are also keen to play a leading role in European Union they cannot be seen as separate from the working out of new plans. New Labour want to increase profitability and have never hidden this even when in opposition. The announcement by Brussels of new proposals comes at a time when rural post offices are under threat of closing with many people, including pensioners in particular, being affected. The new arrangements will escalate the danger in rural areas. 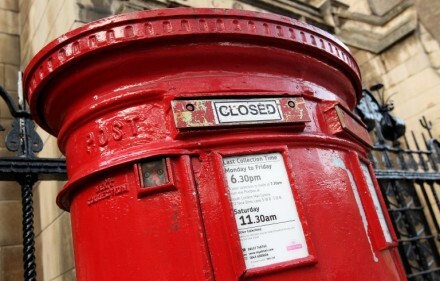 Post Office Unions have warned the proposals will cost 50,000 of the Royal Mail's 160,000 jobs. The postal service itself has said the new arrangements would "inevitably" lead to higher prices for posting letters and "dramatically" hit investment in new technology. The Chief executive, John Roberts is not showing he is altogether opposed to the plans for privatisation. He has only said the proposals are going, "too far, too quickly" by proposing all mail weighing more than 50 grams should be open to full competition by 2003 compared to the present 350 grams. Wokers see the issue, not only of endangering jobs but also affecting the service to ordinary people. It is a question of rights; the service should be fully funded as an important pro-social programme. The Post Office has called for the 350g limit to be lowered to 150g from 2003, which it said would introduce greater competition into postal services. It has said EU proposals would eliminate Royal Mail's profit and allow "Cherry Picking" of the most profitable postal business in urban areas. They go on to say:"That will ultimately make it impossible to continue with the bedrock principle of an affordable and uniform postal service available to every customer, no matter how remote their address, and irrespective of what distance their domestic mail travels." This principle of practical democracy cannot be upheld by talking about capitalist competition and profitability. Making profits and rationalisation is an attempt to exploit those who work in the service. As far as competition goes, whether it is privatised or not, it leads to workers competing against workers, undermining solidarity and proletarian internationalism. The new privatisation arrangements proposed by Brussels must be opposed and instead have in place properly organised and fully fnded post offices. See also comment in editorial about Government announcement that the Post Office would not be privatised.